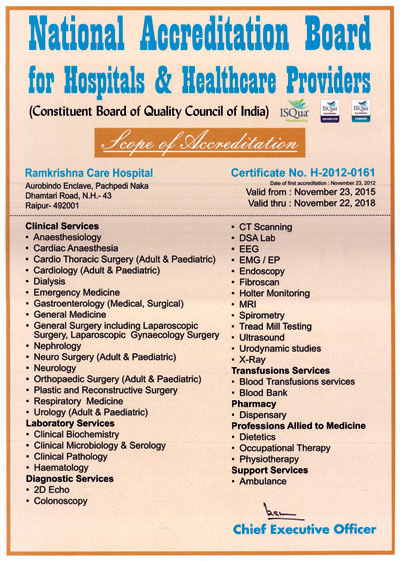 Ramkrishna CARE Hospitals, Raipur Chhattisgarh, has attained NABH accreditation. 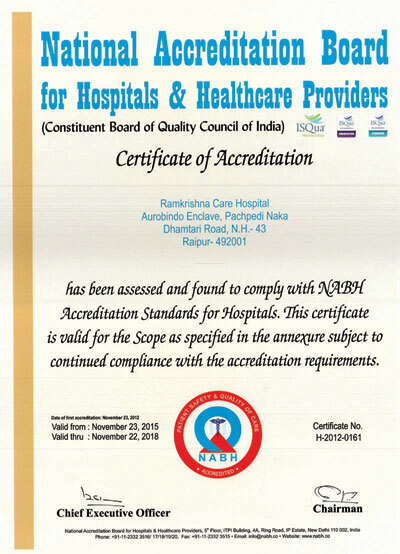 NABH (accredited by ISQua, International Society for Quality in Health Care) has been set up to bring the world's best healthcare quality standards to India by focusing on patient care &, safety, and continuous quality improvement. 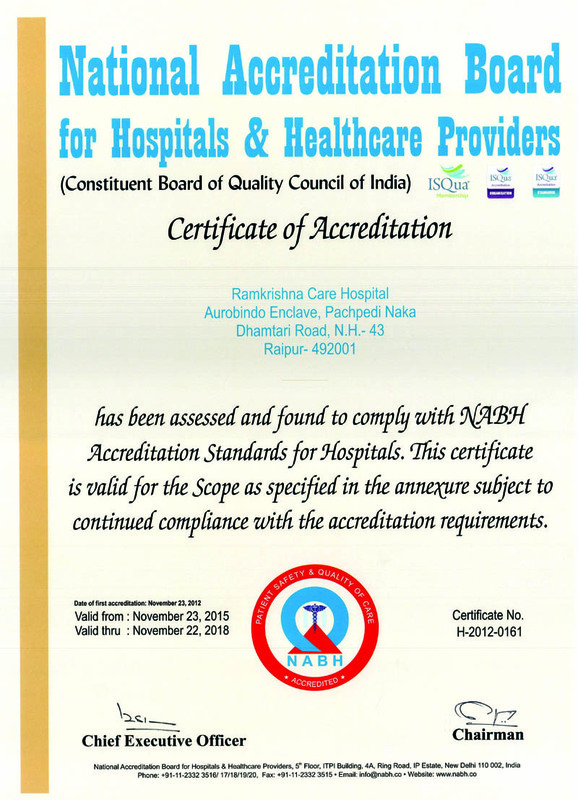 The hospital is committed to establish a culture of quality, patient safety, efficiency and accountability – it is protocol-driven and reflects global practices.